Uh, did we patent it? Nearly seven years after first showing off the iPhone to the world, a key Apple photo gallery patent has been invalided in Germany - and Cupertino has no one to blame but Steve Jobs himself. Foss Patents reported this week that a German patent court sided with Samsung and Motorola Mobility by effectively invalidating the iPhone maker's famous "bounce-back effect" in the country. The patent in question, EP2059868, is described as being used on a "portable electronic device for photo management" - or more specifically in this case, the iPhone's built-in Photos app. 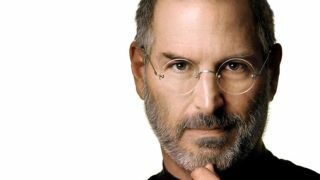 As fate would have it, Apple's rivals were able to use the most incriminating piece of evidence they could possibly come up with: The ghost of Steve Jobs. Despite the late Apple CEO's insistence of "boy, have we patented it!" during the original iPhone keynote in January 2007, it turns out a 12-month grace period Americans enjoy when filing for new inventions doesn't exist overseas. While the keynote video in question cannot be used as prior art in a U.S. patent dispute, European courts are far more restrictive, making an inventor's own public demos fair game if they're dated before an application is filed. The 2007 keynote demo featuring Jobs was shown in court, leaving the judge little choice but to temporarily invalidate the patent until Apple's legal team can come up with other ways to challenge Samsung and Motorola's claims. It's important to note the invalidation isn't yet an official ruling - Samsung still has to come up with other prior art since the keynote video falls within Germany's six-month "Neuheitsschonfrist" (novelty grace period) that can be used to protect such public disclosures. Dig into our review of the new Samsung ATIV Book 9 Plus!